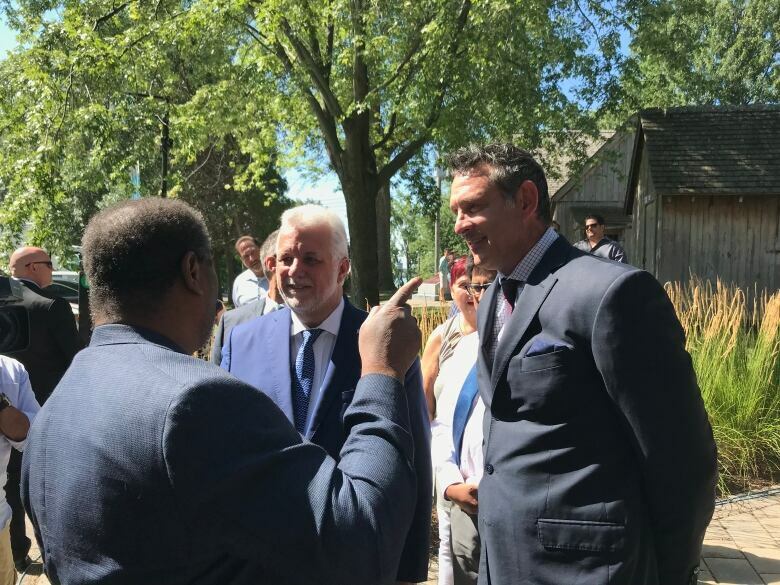 A day after current MNA François Ouimet held an emotional news conference about being asked to step aside, Philippe Couillard officially revealed Ciccone as the new candidate in Marquette. Enrico Ciccone was formally introduced as the Quebec Liberal candidate in Montreal's West Island Marquette riding Thursday, with party Leader Philippe Couillard at his side. The former journeyman hockey player, who was in the National Hockey League from 1993 to 2001, said the NHL was not easy. The challenge of politics, he said, is similar, but "the rules are different." "The citizens of Marquette now are my team." The announcement came a day after François Ouimet, who has represented the riding for 24 years, publicly denounced Couillard for ousting him in an emotional news conference. The riding encompasses Lachine, Dorval and L'Île-Dorval. Asked why he decided to enter politics, Ciccone said, "I want to be sure the people around me are safe." He said he had been approached by other parties to run, but chose the Liberals because of the party's values, namely individual rights, its social policies and approach to immigration, and its goals of equity, integrity, and focus on the future. But Ciccone's official debut was overshadowed by questions directed at Couillard about his treatment of Ouimet and opposition to Ciccone's nomination by the riding association. 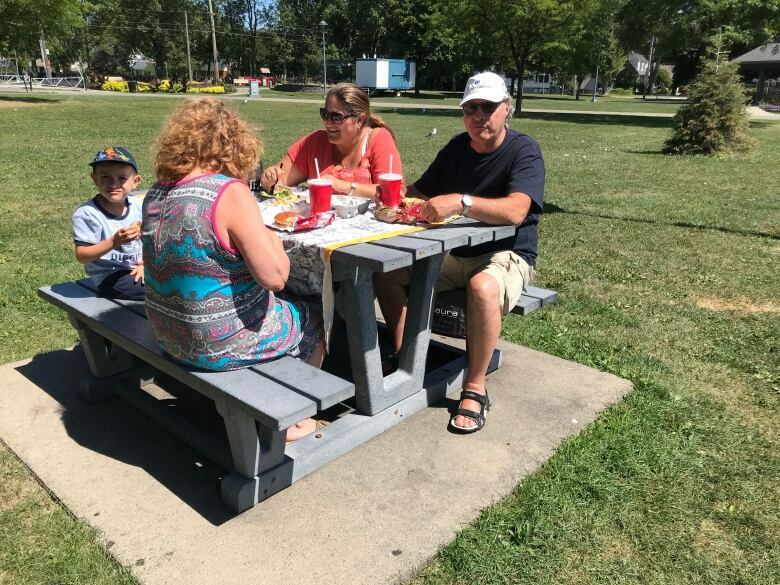 On Wednesday, Ouimet fought back tears as he told reporters that in May, with rumours swirling that he would be replaced, Couillard promised him that he would be the Liberal candidate in Marquette for the Oct. 1 election. When told that voters in the riding were saying Couillard does not keep his word, the Liberal Leader replied that he keeps all his promises. "I know it was painful for François," Couillard said of Ouimet's reaction to his decision to drop him as the party's candidate. "It was painful for me, too," he said. Couillard said Ciccone is a new voice in politics and "a candidate of great value" who would rally the Liberal vote in the riding. However, Radio-Canada has since reported that Ciccone first approached the Coalition Avenir Québec and offered to run for them. Ciccone wanted the riding of Blainville, located in the Laurentians, but Legault offered Vaudreuil instead. The negotiations with the CAQ were not successful, so Ciccone went to the Liberals with his political aspirations. Citizens in Marquette who spoke to CBC News on Thursday had kind words for Ouimet, with some saying they had met him in his door-to-door campaigning. Others expressed uncertainty about the new Liberal candidate. "He wouldn't get my vote," said Dorval resident Nicola Belmonte. "He's not a politician. He was an enforcer in hockey and that is where he should stay." Martha Filion-Chan was not aware of the controversy over the change of the Liberal candidate. "I'm more concerned with Mr. Couillard's cabinet," she said. Former Lachine mayor William McCullock says he's disappointed with how Couillard handled the situation. He said Ouimet was a good MNA for the region. "François Ouimet did not falter, he was good for us. And what's the replacement? Is he better? It's one of the unknowns. I don't like the unknown." McCullock says with the rise of the Coalition Avenir Québec, this move could end up hurting Philippe Couillard and the Liberals. Meanwhile, Patrick Carroll, president of the Marquette riding association, denied a report that the executive has resigned. He said they will stay on until Oct. 1, the end of Ouimet's mandate, then resign. Carroll said he was "very shocked" at the decision to remove Ouimet as the candidate. "The premier gave his word," he told Radio-Canada. In his speech, Ciccone said he knows Ouimet and his son, who he characterized as "a good hockey player." "I hope I can bring to Marquette what he did for 24 years," Ciccone said.